In that "not like the others" segment, kids were supposed to figure out which one of the objects on the screen was not like the other ones — notice the controversial example below, as the comments on YouTube emphasize some of the higher reasoning needed to make this distinction. If you cannot see the above video, check it out online. They came to Bethsaida, and some people brought a blind man and begged Jesus to touch him. He took the blind man by the hand and led him outside the village. When he had spit on the man's eyes and put his hands on him, Jesus asked, "Do you see anything?" He looked up and said, "I see people; they look like trees walking around." Once more Jesus put his hands on the man's eyes. Then his eyes were opened, his sight was restored, and he saw everything clearly. Jesus sent him home, saying, "Don't even go into the village" (Mark 8:22-26). 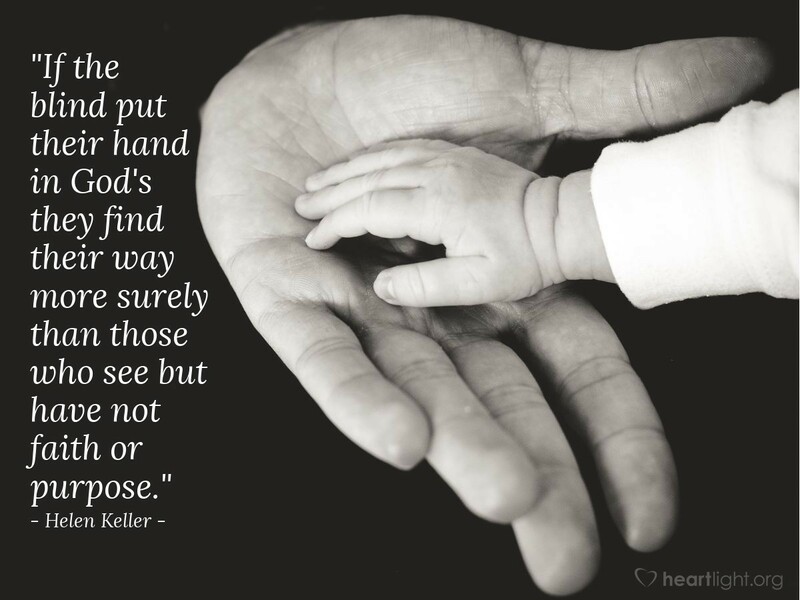 Did you catch the way this miracle is different? 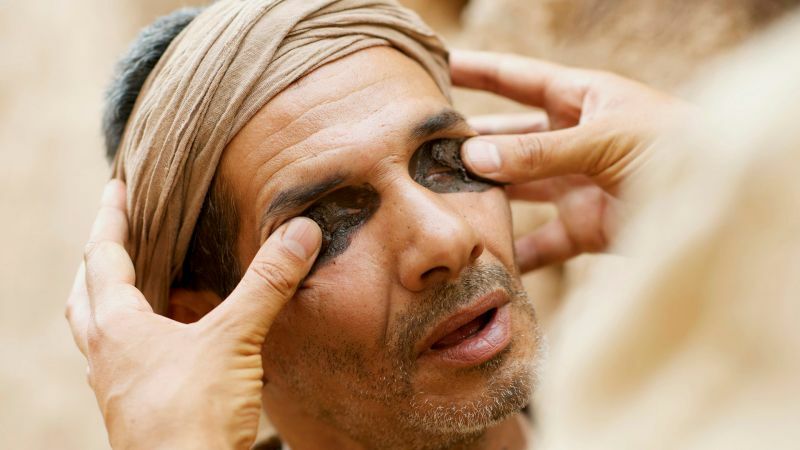 This man's blindness required a double-dose of Jesus' healing power! What? Why was a double-dose of Jesus' healing power required? What was going on in this miracle? Mark wanted all of us to recognize that "one of these things is not like the others"! Mark wasn't worried that we might think Jesus couldn't do the miracle. He had stilled storms and calmed raging winds. Jesus had cast out a legion of demons. He had raised the dead, restored sight to the blind, helped the lame to walk, cleansed those in advance stages of leprosy, restored shriveled arms, and fed the multitudes. The issue wasn't Jesus' power, but something that Jesus wanted to teach his closest disciples. Mark also saw that this lesson would be indispensable for us, too. Jesus chose to do the miracle in two moves to alert us to our need for deeper healing of our out-of-focus wrong-sighted view of him as our Savior. The previous interactions of Jesus with his apostles and the crowds showed that they were not "getting him": they had trouble understanding what Jesus did, why he did it, what he was about, and what he wanted them to learn. The episode that follows Mark's account of the blind man's healing is Peter's confession. Peter confessed Jesus' rightful identity (Mark 8:29), but he did not understand (or would not believe) that Jesus' role as Messiah and Son of God required him to die on a cross (Mark 8:31-33). Peter only partially saw Jesus! Like the rest of the apostles and the crowd that followed Jesus, Peter desired the all-powerful and liberating Jesus. He yearned for a Messiah who could do anything for him and the people. He wasn't ready for nor did he want God's Messiah, the one who would submit himself to death on a Roman cross as a ransom for all people (Mark 10:45). Peter, the other apostles, and the crowds wanted Jesus as the triumphant and all-powerful Savior; they didn't want him as the Suffering Servant for all people (Isaiah 53:1-12). They sure didn't want Jesus to be the Lord who called them to follow him in the way of the cross and sacrificial service to others (Mark 8:34-38; 9:33-37; 10:35-45). 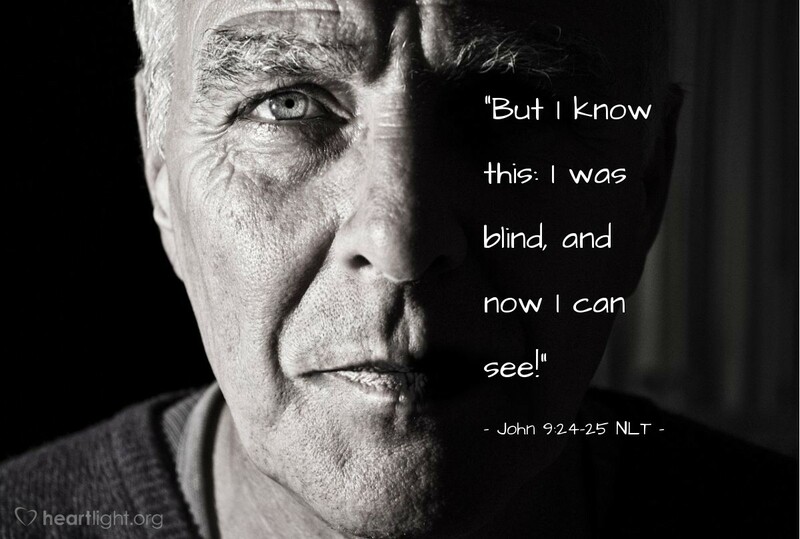 Like the blind man, Jesus' followers needed a double-dose of healing to see completely. Mark wanted all of us to recognize that "one of these things is not like the others"! Jesus' definition of the Messiah, Son of God, is different from every other human definition. Mark wanted us to realize that this blind man and his story of a double-dose of healing is about us — about you and me and our persistently confused ways of seeing. What followed this healing is a series of episodes in Jesus' ministry where he repeatedly spoke about the necessity of being rejected (betrayals and trials), reviled (crucified and mocked), and resurrected on the third day (Mark 8:31-32; 9:30-32; 10:32-34). All along the way, the disciples of Jesus said and did things that showed they still needed this second dose of healing. They refused to accept the way of the cross and sacrificial service. They argued over who would occupy the places of prominence. So, they had to journey with Jesus. They had to endure watching him being rejected, reviled, and resurrected before they could begin to see clearly. Jesus' way of coming as Messiah, Son of God, and Savior, meant that he lived as the one who was not like any others. He refused to be defined by the shallow human definitions of titles. Jesus chose to redefine these titles by what he did and what he sacrificed as he journeyed to the cross and through the empty tomb. Thank you, Lord Jesus, for loving us enough to pay the price to bring us our needed double-dose of your healing grace so that we can clearly see you and your way for us to live in the world! "Cruciformed #2: Beyond Our Blurry Vision" by Phil Ware is licensed under a Creative Commons License. Heartlight encourages you to share this material with others in church bulletins, personal emails, and other non-commercial uses. Please see our Usage Guidelines for more information.